Have you ever felt a certain affinity for a different place or time? Have you ever had a feelings that you lived in another time before, or that you were actually someone else in a past time or life? 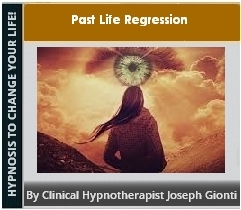 Now, with our Past Life Regression Hypnosis Program you are able to explore further back in time to to see if there is a link with these things and a past life you've lived. In addition, this will also allow you to unlock memories of past lives to better understand and improve the life you're living now! Whether you believe that you have lived another life in another time as someone else or the same person having lived in another realm, there are benefits to revisiting that past life. Past life regression is easily obtained through hypnosis because hypnosis is able to remove the distractions that we know as reality in the here and now, and take us back to "then." Hypnosis does not deal with current visuals or even a current state of awareness. That is why it is so effective in helping bring to the forefront experiences from either the past of this life, or another life lived in another time or body form. What's more is that past life regression hypnosis is not affiliated with any religious or spiritual beliefs. With past life regression you can travel as far back in time as you need to help resolve issues or just to simply explore. For this reason, many people in medical profession believe that by revisiting a past life through hypnosis, you can answer questions from the past and even cure that which ails us today. If you are ready to explore your past life, download your Past Life Regression Program Now! Follow these simple tips and directions and YOU TOO, will achieve all of the success that you deserve.